The Best Supply Chain blogs from thousands of top Supply Chain blogs in our index using search and social metrics. Data will be refreshed once a week. Supply Chain newsletter is a comprehensive summary of the day's most important blog posts and news articles from the best Supply Chain websites on the web, and delivered to your email inbox each morning. To subscribe, simply provide us with your email address. About Blog Supply Chain 24/7 is the ultimate online business resource for Transportation, Dis­trib­u­tion, Logistics and Supply Chain professionals. Facebook fans 5,333. Twitter followers 13,420. About Blog SupplyChainBrain, the world's most comprehensive supply chain management information resource, is accessed year round through a wide range of ever evolving multi-media formats by hundreds of thousands of senior level industry executives. Facebook fans 8,559. Twitter followers 36,464. About Blog Supply Chain Digest is the leading on-line newsletter and web site for busy supply chain and logistics professionals to get news and insight and to find solutions. Facebook fans 2,243. Twitter followers 22,657. About Blog Supply Chain Management Review covers the spectrum of supply chain management-that is, the flow of goods and information from sourcing through manufacturing and on to the final consumer. Key activities within this end-to-end process include sourcing, purchasing, production planning, inventory management, transportation/logistics, customer service and reverse logistics. Facebook fans 30,406. Twitter followers 28,236. About Blog Supply Chain Digital provides latest logistics and supply chain news, a monthly supply chain magazine and a supply chain website for companies, associations and executives globally. Facebook fans 14,498. Twitter followers 33,396. About Blog Perspectives on innovative supply chain management strategies. Kinaxis is a leading provider of cloud-based subscription software that enables our customers to improve and accelerate analysis and decision-making across their supply chain operations. This blog features various Kinaxis team members, with occasional guests, and provides insights on today’s supply chain trends, issues and hot topics. Facebook fans 658. Twitter followers 7,341. About Blog People often admire the great things humans accomplish. Yet, not many people think about the what was utilized to achieve goals many once thought to be impossible. This sub-reddit is dedicated to the specialized tools, resources, and supply chains that do extraordinary work to provide mankind with the ability to accomplish phenomenal tasks. Facebook fans 1,109,354. Twitter followers 484,871. About Blog This blog is about all things to do with “Supply Chain Management”, Procurement and Leadership. Prime focus is to assist readers in “gaining knowledge” in operations world and help them making decisions. Facebook fans 7,482. Twitter followers 1,639. About Blog Supply Chain, Logistics, Research, and Strategy from the Center for Transportation & Logistics at the Massachusetts Institute of Technology. Facebook fans 2,848. Twitter followers 23,577. About Blog This blog is developed by the Decisions Operations and Technology Management (DOTM) Faculty at the UCLA Anderson School. It is intended to report, analyze, and comment on events that relate to current Global Supply Chain Management issues. Facebook fans 41,790. Twitter followers 12,566. About Blog Supply chain business and technology advisory services. A blog by Bob Ferrari. Bob is a highly visible supply chain technology executive, noted industry analyst and consultant, with demonstrated and proven experience in business planning, process, and information technology transformation. About Blog Lora Cecere is the Founder and CEO of Supply Chain Insights , the research firm that's paving new directions in building thought-leading supply chain research. She is also the author of the enterprise software blog Supply Chain Shaman. The blog focuses on the use of enterprise applications to drive supply chain excellence. Facebook fans n/a. Twitter followers 9,587. About Blog Supply Chain Network or #SCN, here to connect supply chain & #logistics pros to people & info they need Time for us to build the #SupplyChain #InternetofThings! Facebook fans n/a. Twitter followers 38,406. Bangalore About Blog We aspire to become India's most preferred end-to-end Logistics, Express and Retail Services conglomerate with comprehensive global reach. Facebook fans 154,731. Twitter followers 9,929. About Blog May 2017 Making in America How tech startups are compelling and enabling offshoring reversal Challenged to deliver more quick turn, customized products, while reducing their reliance on inventory, multinationals are rethinking the mass production, low-cost country sourcing model, opting instead to adopt a more regional, in-country/for-country approach. Facebook fans 23,517. Twitter followers 9,272. About Blog JDA Software is the leading provider of seamless supply chain planning and execution solutions for retailers, manufacturers, logistics providers and wholesale distributors. Facebook fans 5,422. Twitter followers 8,251. About Blog APICS is the leading provider of supply chain, operations and logistics management research, publications, and education and certification programs. Facebook fans 15,085. Twitter followers 10,535. About Blog Cin7 is the world's the most integrated inventory software. Cin7 Inventory connects your sales channels, 3PLs and EDI trading partners. News and Knowledge for Supply Chain Managers. Facebook fans 2,225. Twitter followers 3,366. About Blog Delivering Supply Chain Management Software Solutions Including WMS, TMS And RAS. Facebook fans 764. Twitter followers 2,591. About Blog Avetta provides SaaS based solutions for supply chain risk management that assist with the prequalification of contractors and suppliers. Read resourceful blogs that are related to Avetta and the workforce manangement industry. Facebook fans 144. Twitter followers 250. About Blog RELEX Solutions provides an integrated retail and supply chain planning system that delivers impressive results for customers around the world. Facebook fans 612. Twitter followers 790. About Blog NFI is a leading third party logistics provider offering customers from various industries award-winning domestic and international supply chain solutions. Supply Chain Link is your industry connection for everything logistics and supply chain. Visit us for supply chain insights, resources, and best practices. Facebook fans 3,290. Twitter followers 1,263. About Blog AFFLINK is a leader in supply chain and strategic procurement services providing cost savings, process improvement, and quality products. Facebook fans 492. Twitter followers 1,231. About Blog URICA injects cash into supply chains to empower businesses of all sizes to pay and get paid on the terms of trade they want. Facebook fans 135. Twitter followers 1,732. About Blog ModusLink is a trusted and integrated provider of supply chain & logistics solutions to the world’s leading companies in consumer electronics, communications, computing, medical devices, and retail. About Blog SCM Talent Group is a national supply chain recruiting and executive search firm that recruits across the end-to-end supply chain discipline. The Supply Chain Talent Blog keeps you informed on the latest supply chain recruitment and career development trends, job search techniques, resume tips, interviewing advice and more. Facebook fans 934. Twitter followers 5,153. About Blog Flexis AG is a global leader in supply chain management software. We are dedicated to developing and implementing automated, customer-orientated solutions for the most complex supply chain issues in automotive, manufacturing, and logistics. About Blog eft is the global leader in business intelligence and C-level networking for the transport, logistics and supply chain industry. We specialize in connecting senior industry executives with their industry peers, and with the crucial information they need to excel in their work. Facebook fans 214. Twitter followers 9,020. About Blog Supply chain planning blog for news, tips. and trends on S&OP management, data segmentation, demand planning, forecasting, inventory management, and supply planning. Facebook fans 350. Twitter followers 397. Portsmouth, NH About Blog Loftware is the foremost authority and market software leader in delivering enterprise business solutions for meeting a company’s global labeling requirements. Facebook fans 182. Twitter followers 1,402. About Blog Valuable innovation and technology insights for supply chain executives that improve growth and accelerate business performance. Facebook fans 339. Twitter followers 3,184. About Blog Supply chain mapping software that enables companies to trace products to the source – tracking social, financial, and environmental risks every step of the way. Facebook fans 1,014. Twitter followers 2,716. About Blog Flash Global implements service supply chain strategies for expanding companies, creating predictability, consistency and visibility for your service logistics. Facebook fans 283. Twitter followers 21,115. Atlanta, GA About Blog Logility, Inc. is a global provider of supply chain planning software solutions for companies of all size. Founded in 1996, the company was established as a wholly-owned subsidiary of American Software, to take advantage of changing market conditions and the growing need for specialized supply chain management solutions. Facebook fans 316. Twitter followers 2,328. About Blog Chainalytics, a leader in supply chain consulting, analytics, and market intelligence, helps its clients capture the maximum value from their supply chains. Facebook fans 568. Twitter followers 1,207. Facebook fans 7,480. Twitter followers n/a. About Blog Spreading European supply chain knowledge around the world. A blog by Martijn Lofvers. CEO & Chief Trendwatcher of Supply Chain Magazine and Movement, researcher for western movie Brimstone. Facebook fans n/a. Twitter followers 1,589. About Blog Supply Chain World magazine is the authority on best practices in supply chain management. Helping Supply Chain leaders stay current with best practices! Facebook fans 1,337. Twitter followers 2,943. About Blog Online Supply Chain Design & Simulation. About Blog SCM World is a cross-industry learning community, powered by the world’s most influential supply chain practitioners. Facebook fans n/a. Twitter followers 5,478. About Blog The Mobile Supply Chain Blog features interesting and relevant articles related to supply chain management, mobile data collection, warehouse automation, field service automation, government compliance, and more. Facebook fans 75. Twitter followers 319. About Blog KEPLER is a consulting firm specialized in operational margin optimization with four areas of expertise: Innovation, Purchasing, Supply Chain and Operational Efficiency. Facebook fans 1,728. Twitter followers 192. About Blog You can find lots of information, tips, and supply chain management ideas on Adjuno's blog. Browse our blog section and get yourself updated. Facebook fans 254. Twitter followers 107. About Blog Exploring the latest supply chain trends. The Network Effect explores the implications of the next major trend to emerge in supply chain—the existence of a many-to-many network-based platform that connects all trading partners from the end customer to the raw material supplier, and coordinates their actions. About Blog Fronetics' blog offers information, news, and updates on digital and content marketing for companies in the supply chain and logistics industries. Facebook fans 198. Twitter followers 6,974. About Blog Experts in Supply Chain, Procurement, Operations, Planning, and Logistics. Our real value is the depth and reach of our network into the hidden passive candidate market. About Blog Supply Chain trends, best practices, news and much more! Facebook fans 382. Twitter followers 1,218. About Blog FIDELITONE, a supply chain management firm, helps clients earn their customers' loyalty through specialized services in last mile delivery, inbound materials management, order fulfillment, service parts management and transportation. Facebook fans 213. Twitter followers 1,069. About Blog Supply Chain Minded is a very active and fast growing online community in Supply Chain for Planning, Sourcing, Manufacturing, Delivery and Reverse Logistics professionals. Facebook fans 79. Twitter followers 2,419. About Blog Stay informed on supply chain best practices, current trends, and industry innovations. About Blog International Supply Chain Consultants - We will work with your team to deliver results. Consultancy Projects - Interim Management - Supply Chain Analytics. Facebook fans 95. Twitter followers 73. About Blog Innovative, proven software and technology that transform the distribution supply chain with solutions for warehouse management, distribution management, transportation management, financial management and analytics. Facebook fans 50,499. Twitter followers 185. About Blog Altius' blog for supply chain compliance content, which has hundreds of articles and resources especially for supply chain managers. Facebook fans 142. Twitter followers 1,045. About Blog The Identify3D Digital Supply Chain Platform provides design protection, quality assurance, and data logistics for digital manufacturing. About Blog Adexa Supply Chain Planning Blog covers the latest & hottest topics in SCM, with a twist. It’s less formal, at times hard-hitting & always thought provoking. We are a global provider of Demand Management and Supply Chain Planning solutions. Some of the best supply chains in the world run on Adexa. Facebook fans 20. Twitter followers 92. About Blog Andreas Wieland’s supply chain management blog for academics and managers. About Blog ISM's mission is to enhance the value and performance of procurement and supply chain management practitioners and their organizations worldwide. Facebook fans 10,644. Twitter followers 687. About Blog Supply Chain Services & Software For Tomorrow's Technology. We are a supply chain services and software technology company passionate about partnering with high-growth technology companies to bring innovative and disruptive technologies to market that will have a positive impact on the world. Facebook fans 28. Twitter followers 74. About Blog Providing consulting and report to the flat panel display supply chain. Facebook fans 79. Twitter followers 108. About Blog Read our supply chain tips and tricks for both candidates and companies. Our tips will help your company find the right supply chain manager! Facebook fans 50. Twitter followers 181. About Blog Shaping the world of S&OP and Supply Chain. About Blog The Mpower Group is in the business of Mpowering our clients to accelerate superior business outcomes by unleashing the full potential of their Strategic Sourcing / Supply Chain organizations. We are a global consulting firm dedicated to serving the needs of Fortune 500 Strategic Sourcing & Supply Chain organizations. Facebook fans 23. Twitter followers 340. About Blog Supply Chain and business portal aggregating top news and information. Facebook fans 12,940. Twitter followers n/a. About Blog Automotive Supply Chain provides the very latest online news and features & quarterly magazines - aimed at keeping you up to date with the latest industry news. Facebook fans 702. Twitter followers 748. Hong Kong About Blog Get regular expert information, quality advice and tips, and household goods industry news from API. Facebook fans 893. Twitter followers 83. About Blog MetaCog Solutions is a company committed to professional skill development in the field of Supply Chain management. Using a MOOC technology platform, we offer several courses that impart extensive training across locations in India and abroad. Facebook fans 313. Twitter followers 8. About Blog As the largest privately owned specialist 3PL we offer leading class solutions, and in many cases unique and proprietary solutions, for both B2B and B2C customers. The SCS value add offering now extends fully into 4PL as well as complete end to end Supply Chain Management contracts. About Blog Supply Chain Experts helping retailers and manufacturers get the most value from their JDA, Red Prairie, and Oracle Retail applications. About Blog Supply Chain Blog For Transformational Change. This is a blog dedicated to sharing experiences and expertise in the area of Supply Chain. About Blog The global leader in supply chain design software and solutions. Optimise your supply chain with LLamasoft's industry-leading supply chain management software and tools. Facebook fans 767. Twitter followers 1,447. London, United Kingdom About Blog Brookes Supply Chain Solutions assist companies with their in-depth understanding and application of supply chain planning automation. Using advanced algorithms, machine learning and AI they automate many of the routine planning decisions that have to be taken every day. Helps customers to increase revenue by improving product availability, release cash by optimising inventory and reduce manufacturing, transportation and warehousing costs. Facebook fans 14. Twitter followers 79. About Blog If you need to boost your own Supply Chain knowledge and performance or that of your team, this is the place for you! About Blog FedEx Supply Chain is a non-asset-biased third-party logistics (3PL) provider and thought leader with a proven track record of success. Facebook fans 2,034,026. Twitter followers 2,202. Facebook fans 2,427. Twitter followers 1,501. About Blog The Progress Group is a management consultancy specializing in supply chain management and logistics. Facebook fans 118. Twitter followers 91. About Blog Buy Art Supplies & Artist Materials In Dubai UAE We provide wide range of art materials supplies in Dubai UAE acrylic colors, all crafts items, arts materials, brushes, dymo label, stationary, suppliers. 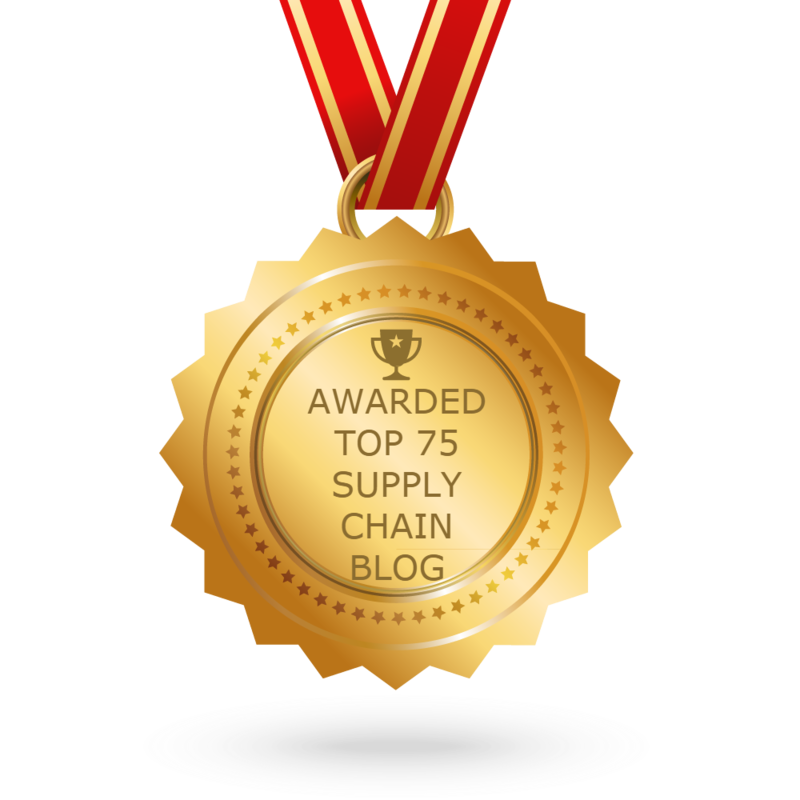 CONGRATULATIONS to every blogger that has made this Top Supply Chain Blogs list! This is the most comprehensive list of best Supply Chain blogs on the internet and I’m honoured to have you as part of this! I personally give you a high-five and want to thank you for your contribution to this world.